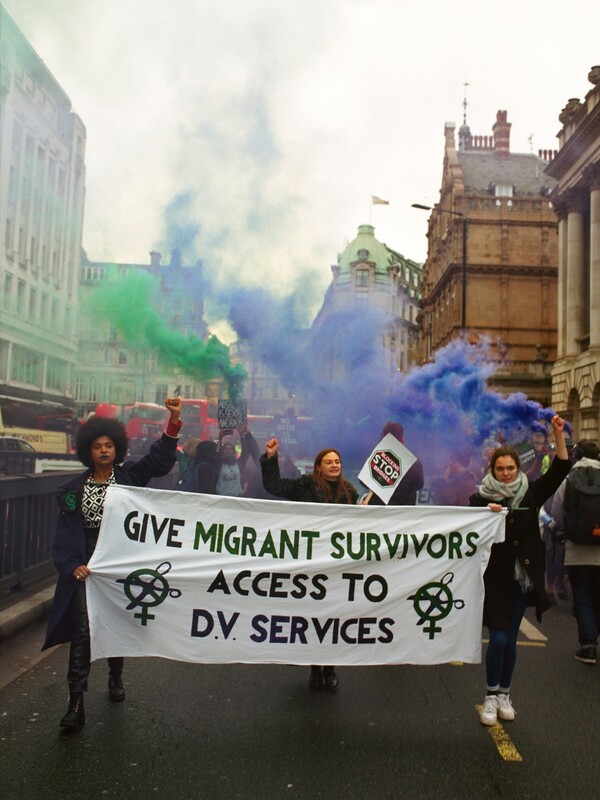 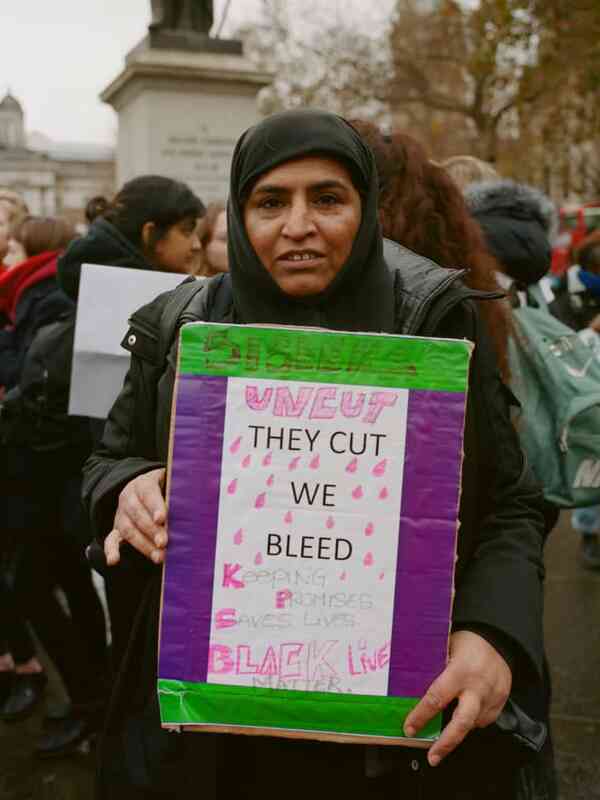 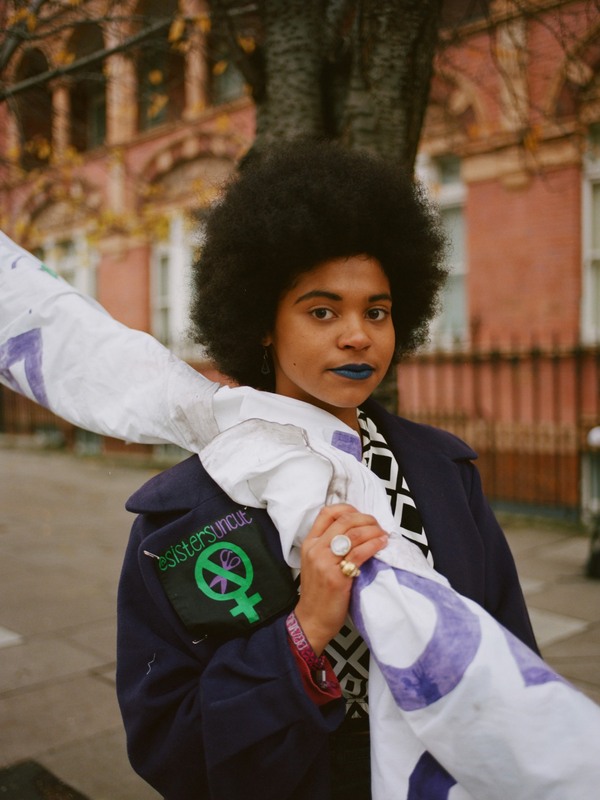 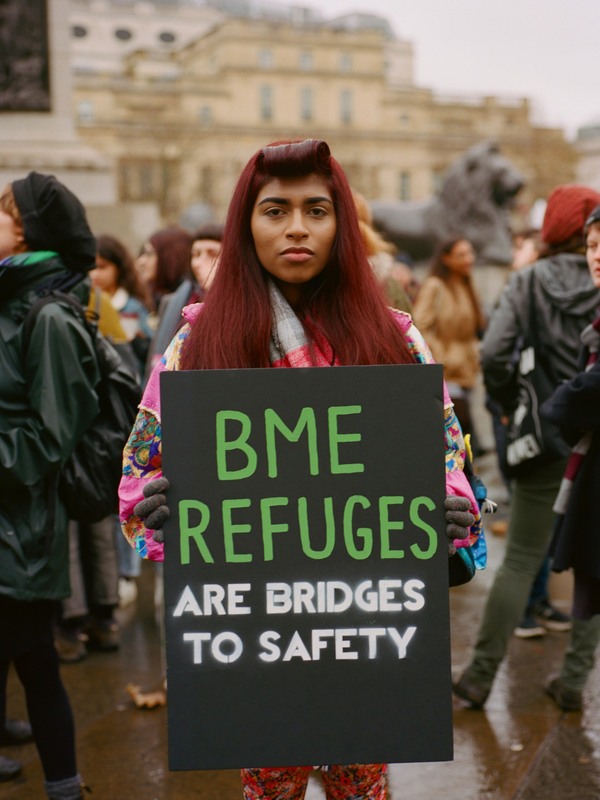 Sisters Uncut Are Fighting For The Rights Of BME And Migrant Women In The U.K.
See photos from the feminist group’s latest colorful, defiant protest. 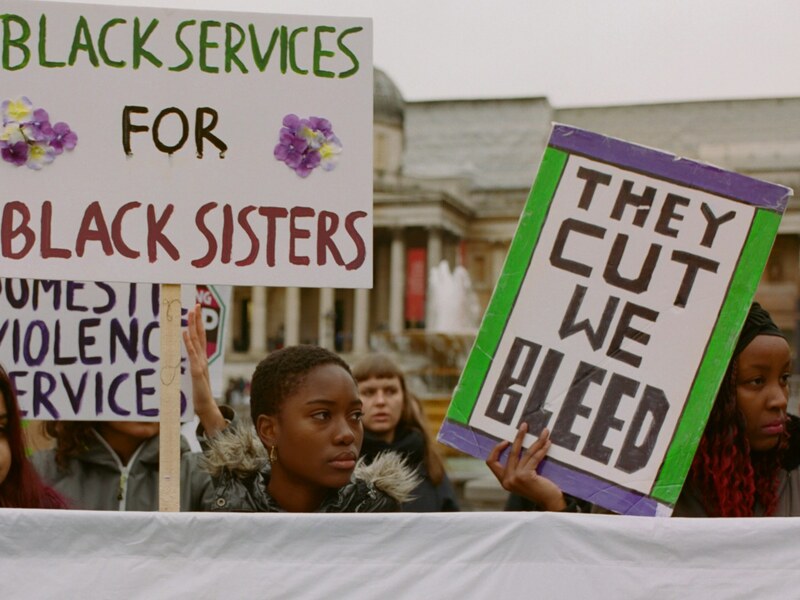 On Sunday November 20, U.K. feminist activist group Sisters Uncut staged a country-wide day of action. 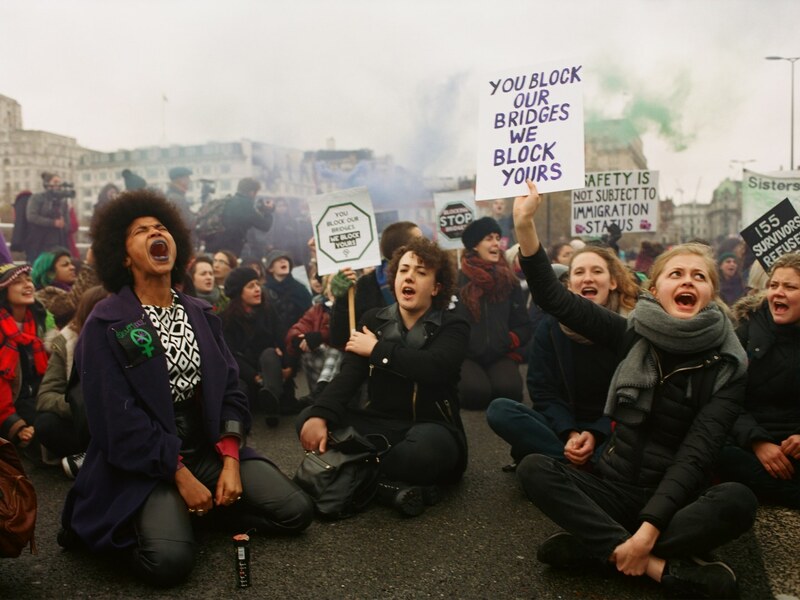 In the south western city of Bristol, protesters set off green and purple plumes of smoke on Redcliffe Bridge. 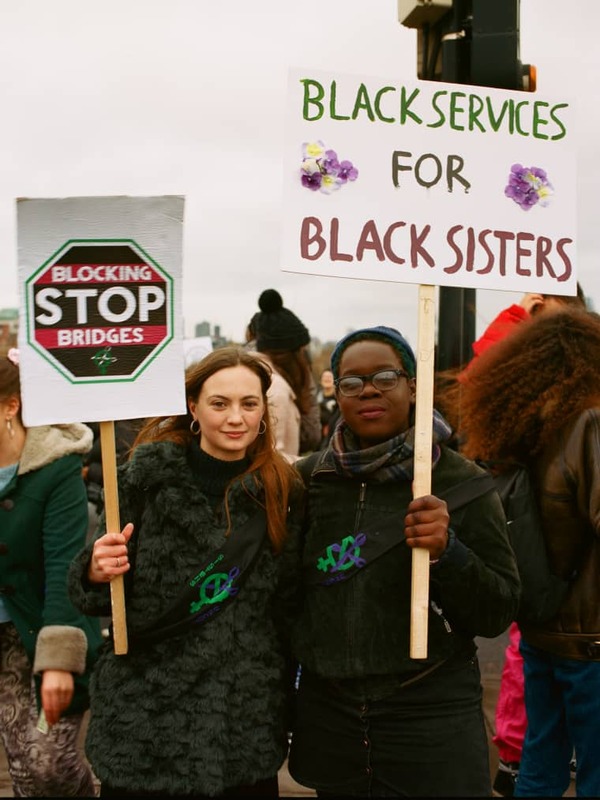 In the northern industrial city of Newcastle, a banner bearing the message “Sisters Uncut Demand Specialist Domestic Violence Services” adorned the Millennium Bridge; further north in Glasgow, Scotland, an outpost of the group took over South Portland Street Suspension Bridge. 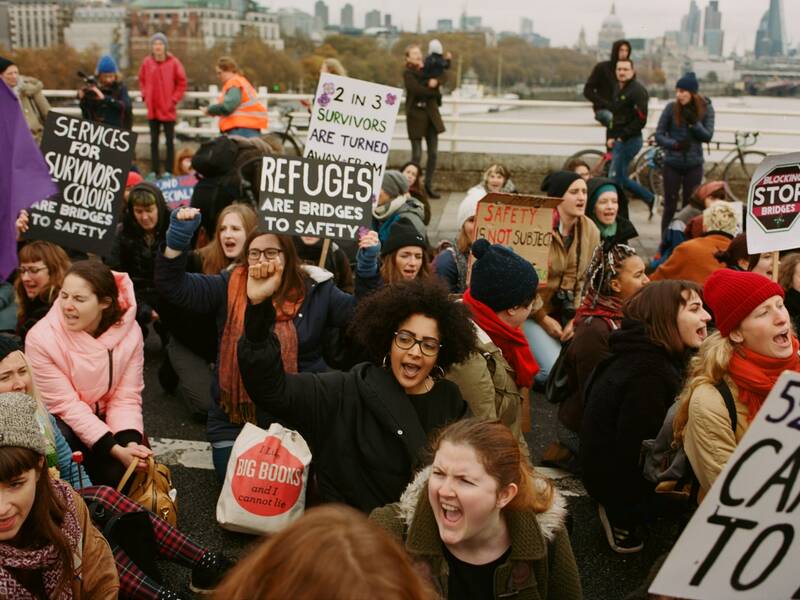 And in the capital of London — where these photos were taken — hundreds of women stopped traffic on Waterloo bridge during the busiest part of the day. 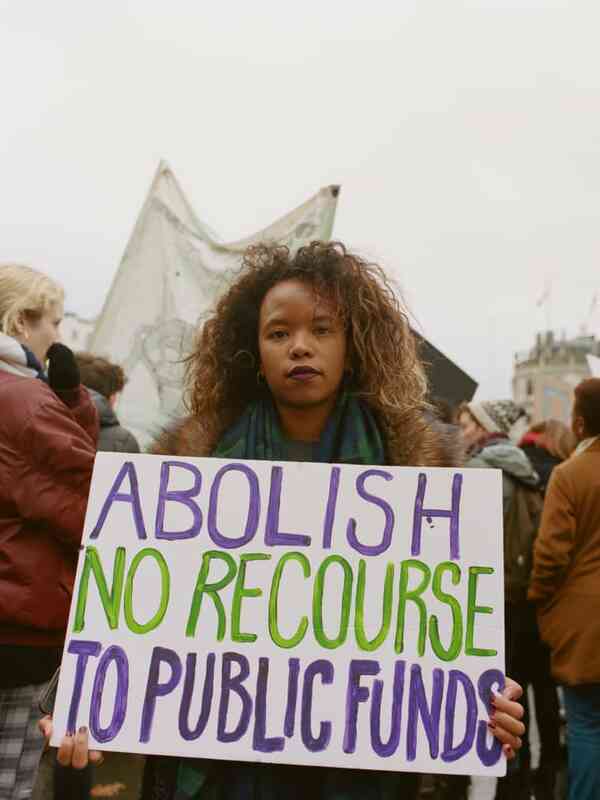 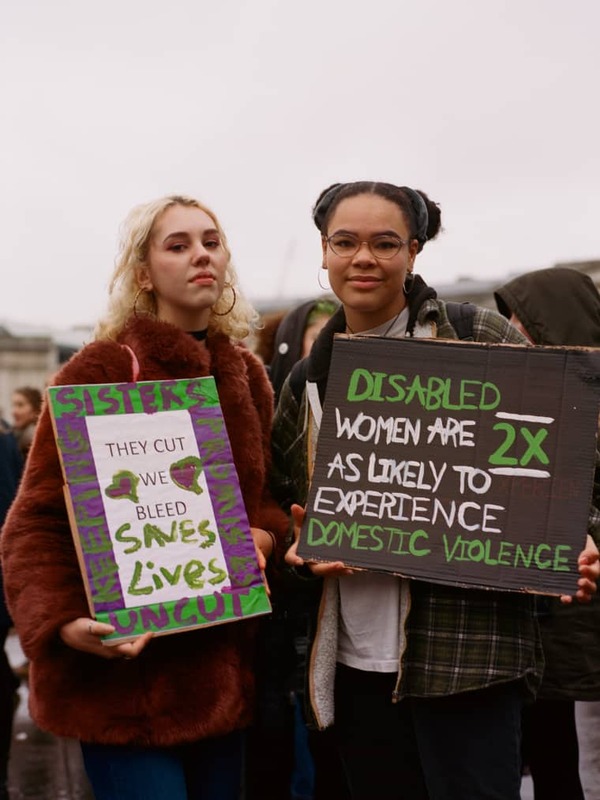 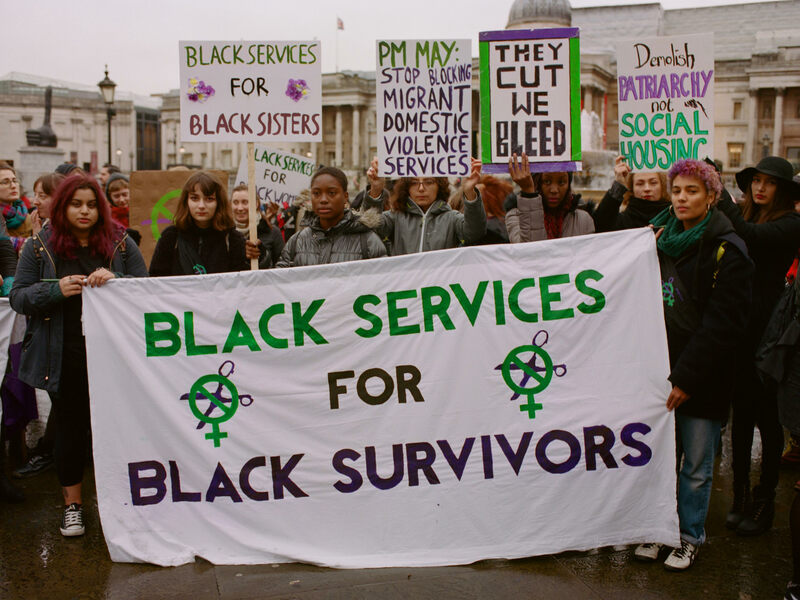 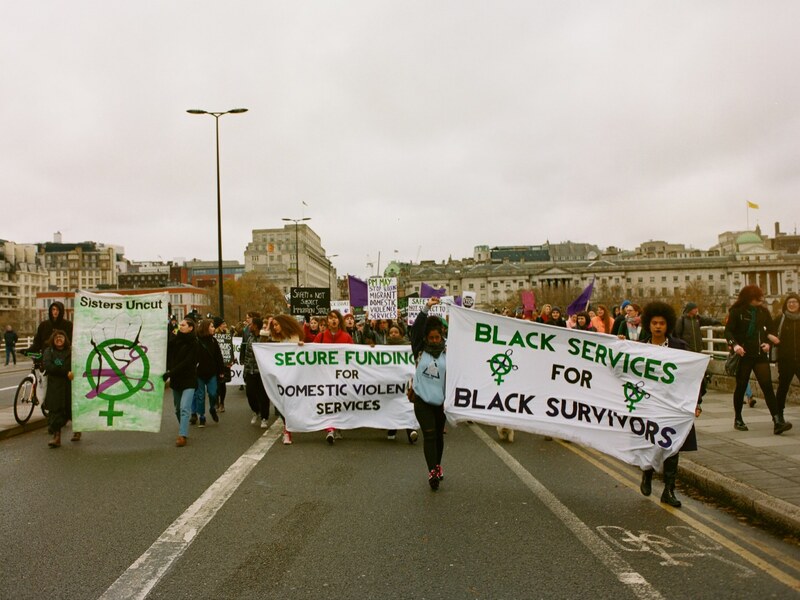 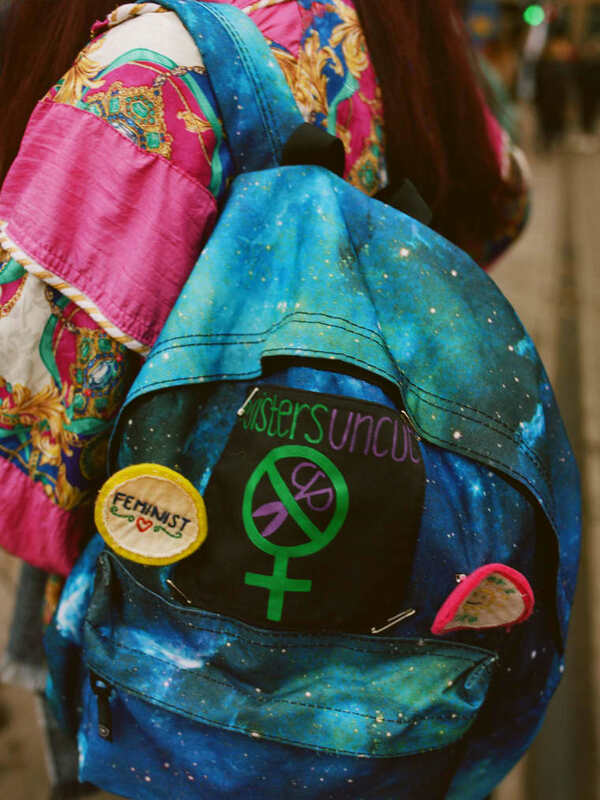 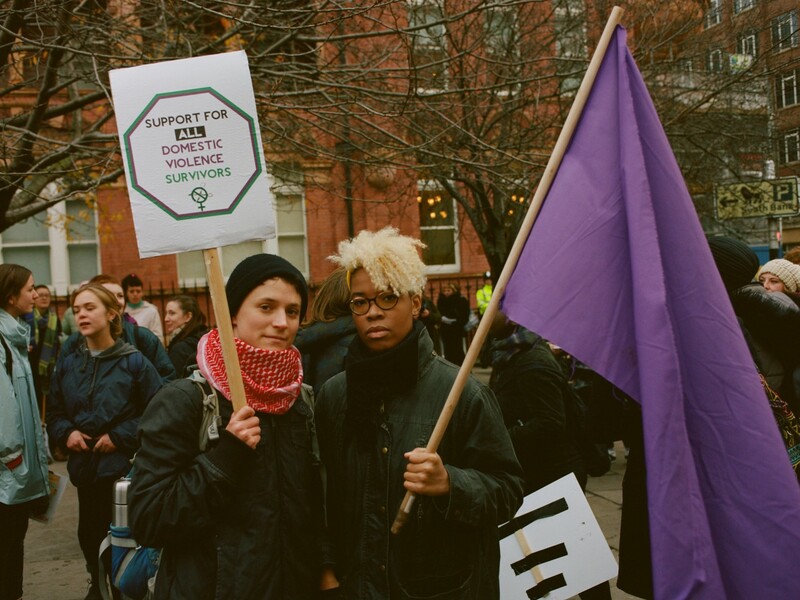 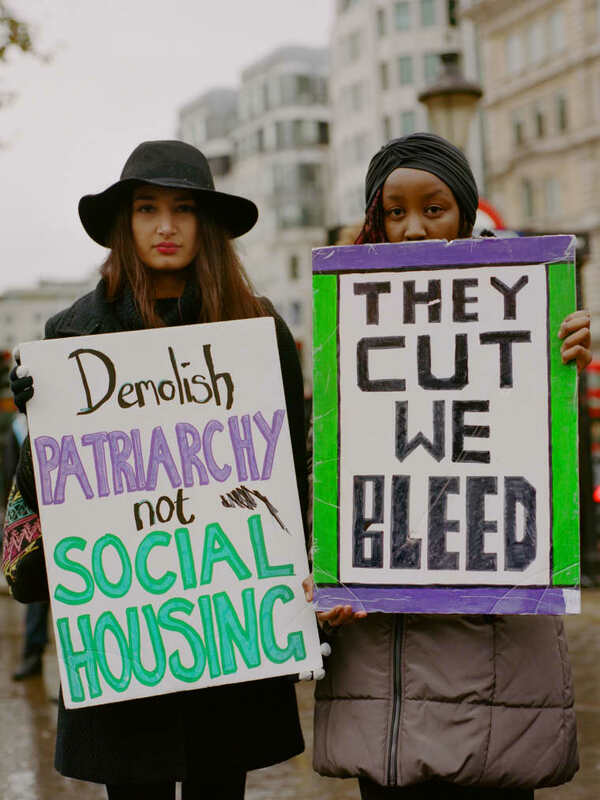 With U.K. prime minister Theresa May’s government set to unveil its first budget on Wednesday November 23, Sisters Uncut sent out the message that the government’s offer of temporary funding for domestic violence services is not enough. 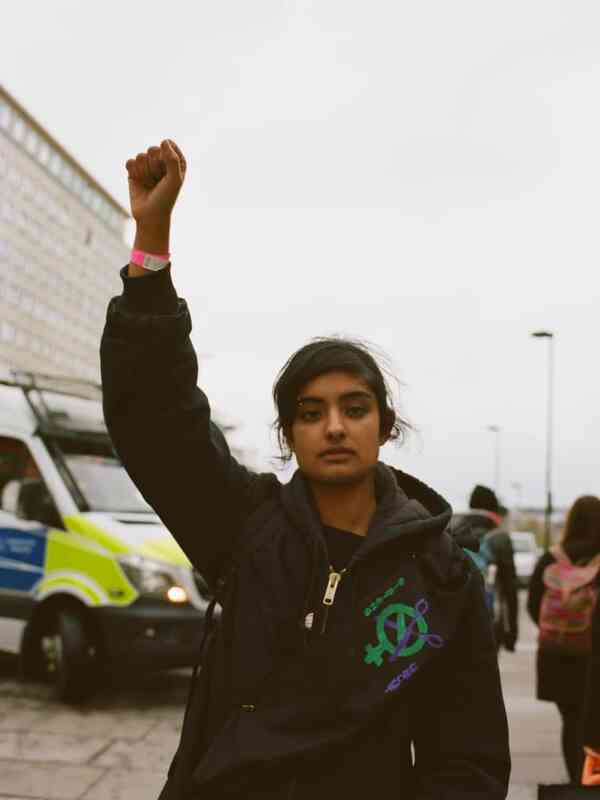 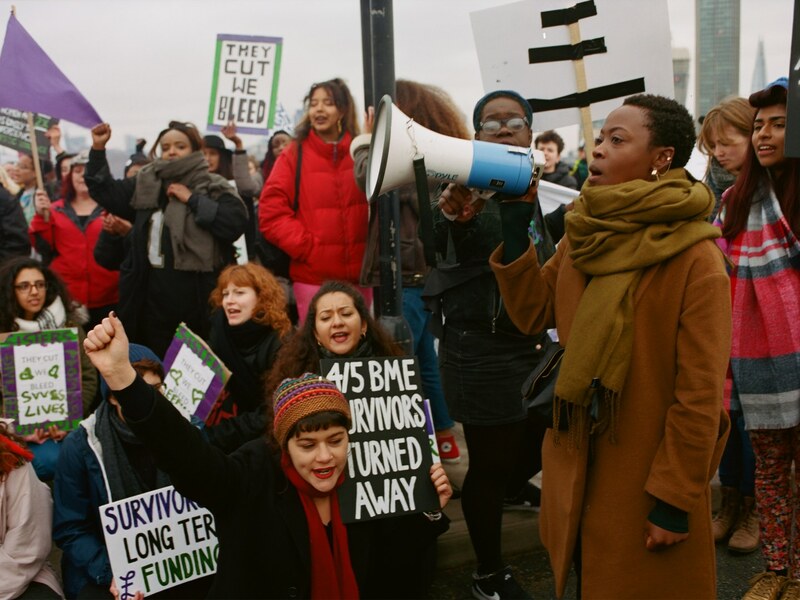 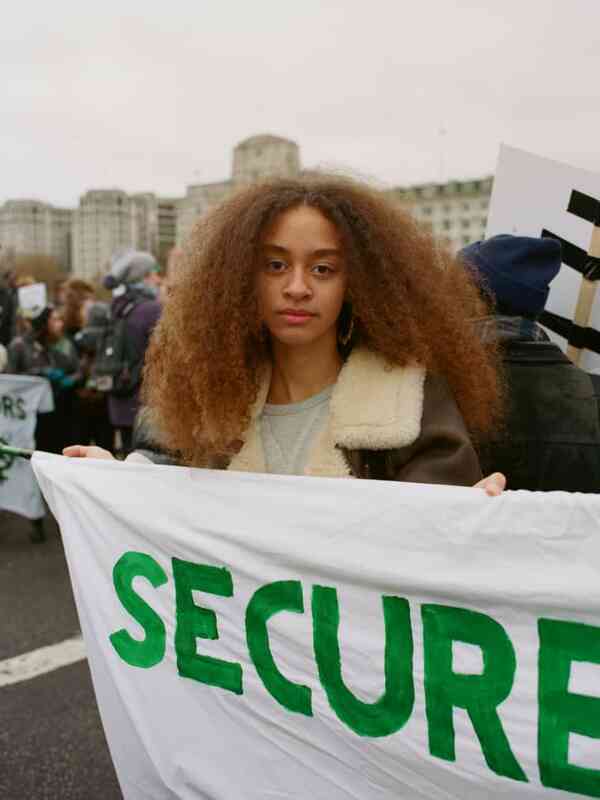 The FADER was there on London’s Waterloo Bridge, where demonstrators set off colorful flares, danced to Nadia Rose and Rihanna, and chanted “Sisters united, we’ll never be defeated.” Here’s what it looked like from the inside.